Why You Should Pack a Hoodie or Sweatshirt for Skiing…Skiwear isn’t just about thick padded jackets and skin-tight thermals, there’s an all-important middle layer that can make all the difference when it comes to keeping warm, staying comfortable, and transitioning from daytime to evening. Whether made from cotton, polyester fleece or elastic material, hoodies and sweatshirts can be a hugely comforting addition to your ski wear look. 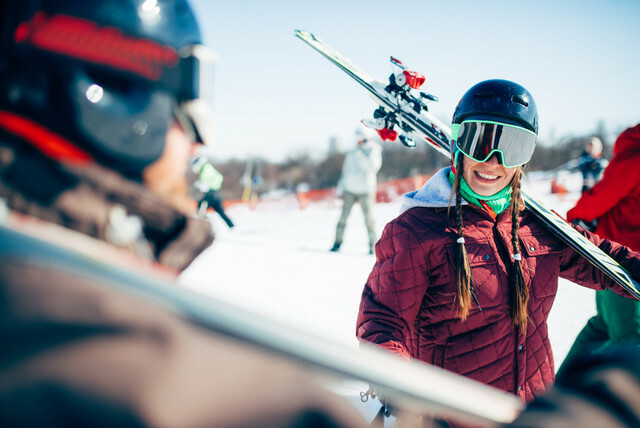 With stylish options from the likes of Sweaty Betty, Tory Sport, and Roxy, there’s no reason why you can’t enjoy a relaxed chic look out on the slopes from your favorite ski and snowboard wear brands. Not sure where to start? Let us talk you through the vital steps to choosing a ski hoodie or snowboard sweater and you’ll be looking the part in no time. With so many designs and fabrics available in sarees it is easy to get lost and confused as to what would be the best purchase for you. The saree fabrics hold a special significance in the Indian weather as some of them work in a particular weather and some don’t so it is always tricky to choose the perfect one accordingly. These days online saree shopping has become much easier with several websites offering the different varieties in them right at one place. If you stay in an area where you cannot find a particular style or design, then you can always go for the trusted brand online and purchase the desired one.